From second trimester and beyond. I began prenatal yoga when I was 13 weeks pregnant and I truly believe it was one of the only things that helped me remain sane, positive, and limber throughout what should have been a very stressful pregnancy. I found out at 20 weeks gestation that our baby girl was going to be born with a congenital heart defect that would require me to have a NICU team at the ready during delivery and for my daughter to undergo her first of at least three open heart surgeries at six days old. Yoga taught me to generate a positive energy between me and baby. For one hour a week I could block out the rest of the world and just focus on those precious kicks as I relaxed knowing that she was safe inside of me. It also allowed me to bond with so many soon to be mommies that were going through all the typical pregnancy changes as well. They were always there to listen and be your personal support team or cheerleaders through every up and down along the way. In addition to the emotional benefits, I also stayed in such great shape which made for a very easy pregnancy and delivery. And on the days I did have aches and pains, Chelsea always had tricks that would alleviate just about every ailment. When my delivery day arrived, I had no time for an epidural. I am forever grateful for an awesome yoga instructor who taught me how to control my breathing and focus on my mantra. I will always be thankful for such a knowledgeable instructor and the ability to bond with amazing women while relaxing and taking time to cherish those precious 9 months of being so connected to my little one. I really enjoyed prenatal yoga not only for the physical health benefits but the mental as well. Having a group of ladies that you can talk to and bounce ideas off of is priceless especially for me, a first time mother. I would totally take the class again for baby number two. I enjoyed prenatal yoga because while my body was taking a new shape to carry the baby, my weight was shifting and as I grew with the baby would create different pains in my body, yoga really helped stretch these muscles and ease body aches. Yoga helped lower my stress level and helped me stop and quality time with my body and baby! It was nice to gather with other pregnant women to discuss the new changes in our bodies and share information about our sweet angels we were expecting such as names, baby showers, and nurseries! During labor I felt like my body was more prepared to push and also controlled my breathing. I started prenatal yoga because I was looking to keep active and stress free(as much as possible at least!) during my pregnancy. After my first class, I knew that prenatal yoga was definitely worth coming to every week! Prenatal yoga helped reduce my anxiety about childbirth and helped me destress after long days at work. I was able to focus on breathing and tune in on my body and my baby to give both what they needed from me while pregnant. I experienced a lot of hip/back pain during pregnancy, but prenatal yoga helped me ‘stretch it out’ and massage those areas. I also was given a lot of easy poses to do at home or work which came in very handy! Also, during childbirth I remembered words from Chelsea at the end of each class and put myself in a calming place and focused on breath. 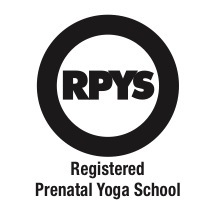 I can’t say enough about my experience with EVY and prenatal yoga! ‘If’ there is to be baby number 2, then I will definitely be coming back to this class. I recommend it to any pregnant woman I know. Prenatal yoga with Chelsea was something I looked forward to every week while I was pregnant. I had never stepped foot in a yoga class prior to meeting Chelsea, but after the first class I was hooked. Chelsea always asked how we were doing and if there were any areas that needed attention. She adapted the classes to how we were feeling each week and was always supportive both physically and emotionally. I was in class at 39 weeks pregnant and still enjoyed every second. I highly recommend this class for anyone who is pregnant. Not only did it make my body feel better and more relaxed, but I was able to connect with and relate to other pregnant women.